Are you interested in fighting? Are you interested in protecting the universe from oppression?? Join the TEST Star Marine Corps! Are you interested in making sure that those guys arrive alive at their destination? 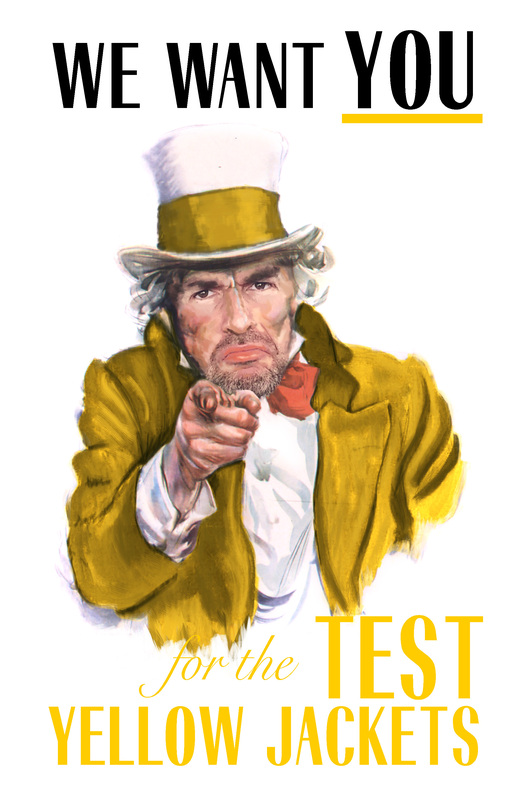 Join the TEST Yellow-Jackets!!! Post below or post in the TEST Discord #Yellow-Jackets text channel to get a TEST Yellow Jacket role. You will receive limited pings for TEST events where you skills most likely will be needed. As the most functional alcoholic of all Testies, we have very high standards of drinking in the yellow jackets!!! I've been doing 1/2 regular flight combat. I'm in for that. I'm highly interested in learning to fly/fight. Just waiting for 3.5 to drop. Marc, count me in. I shall bring my Vanguard and either a 325a, Arrow or Gladius. Which I feel the most comfortable in, haha. Then do both! Just make sure you always have a gun, and oxygen. Are you interested in making sure that those guys arrive alive at their destination? But wait, what if I want to be a pilot AND an infantry grunt? post a message at TEST discord #Yellow-Jackets that makes it easier to give you the role, scrolling down the list and find members can be tedious.